It was a red-letter day in the history of India when the country got her freedom on August 15, 1947. It took hundreds of years for us to break the shackles of slavery under the British Raj. People celebrate this day with great pomp and show and that is why NAFL-NPS North went an extra mile by having an Investiture ceremony to crown our future leaders on Independence Day. 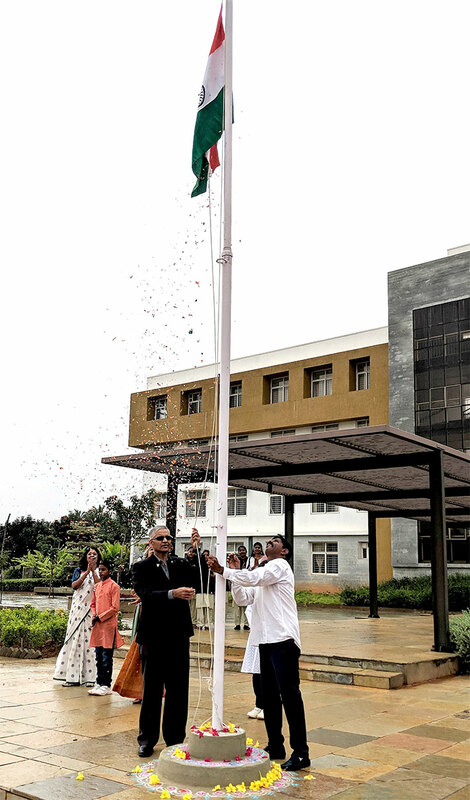 The Chief Guest, Wing Commander Girish Kumar, hoisted the National Flag and the teachers, parents and children saluted the flag and then sang the National Anthem. It was then followed by the Investiture Ceremony of the Senate where, Mrs. Meghana Girish, wife of Wing Commander Girish Kumar handed over the badges and sash to the newly elected office bearers. The students took their oath of being office bearers. It was indeed a solemn occasion. The address by the Vice-Principal was inspiring and she asked the students to reflect and state what independence meant to them. She left them with powerful thoughts of discipline, respecting others, donations and do social service in order to be a good citizen. 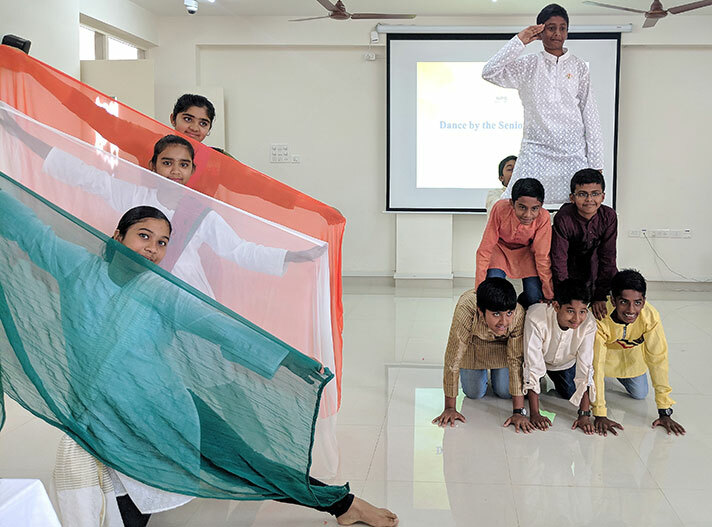 The cultural programme comprised of various patriotic dance and songs which the children performed with great energy and aplomb. The Chief Guest’s address was thought provoking. He urged every student to keep themselves together and to do something for the country without any expectations. The Independence Day celebration concluded on a sweet note as saffron ladoos were distributed among students, parents and teachers.